Boston is the capital of Massachusetts in the north east of the United States, and is one of the country’s oldest cities. In fact, Boston has been the setting of some of the most historic moments in the country’s history, including its formation. Several key moments in the American Revolution – the conflict in which rebel colonies overthrew the British to create the United States of America – took place in Boston, including the Boston Massacre, the Boston Tea Party and the Battle of Bunker Hill. Almost every street in the city has a plaque, statue or some other structure on it to commemorate a moment in history, hence why Boston is known as “The Walking City” (because you’ll discover so many landmarks just by walking the streets). You should take the “Freedom Trail” to discover these; this is a walking tour which you can take yourself without a guide and which you can pick up anywhere in the city. Boston is also home to the first subway system in America. Boston should definitely be on your list of cities to visit if you’re a history geek and definitely if you’re a History student. Boston sits on the natural Boston Harbour, which is one of the many prides of joy for the city; here you can go whale-watching or sample some of the freshly-caught seafood which the city is known for. Alternatively you can enjoy one of the many parks which make up Boston’s "Emerald Necklace". This name is a reference to Boston’s Irish-American roots, with family values being very important to the people who live here. And for a city where history and tradition are so important, you should definitely enjoy America’s national pastime, baseball; visit a traditional Irish pub and then see a game live at Fenway Park, home to the city’s Red Sox team. International students will find that Boston is a city which remembers that many of its residents have roots overseas, and thus will welcome those coming from abroad like one of their own. You'll find Boston's Irish roots very evident in the accents which might be a little hard to understand at first, though it's very different from a traditional Irish accent. Think Matt Damon, Ben Affleck or Mark Wharlberg if you've ever seen them speak in their normal voices. Some popular phrases include 'wicked good' (pronounced 'wikkid good') which is used widely to emphasise how good something is (e.g. 'That meal was wikkid good' would mean 'That meal was great') and 'skeave' for something or someone nasty or disgusting. Be careful though as many phrases you'll read about are either no longer widely used or may sound off coming from a non-Bostonian. There are a lot of 'aaahhhh' sounds too in how words are pronounced with the 'r' being left off the end, such as for 'bah' (bar) or 'cah' (car). 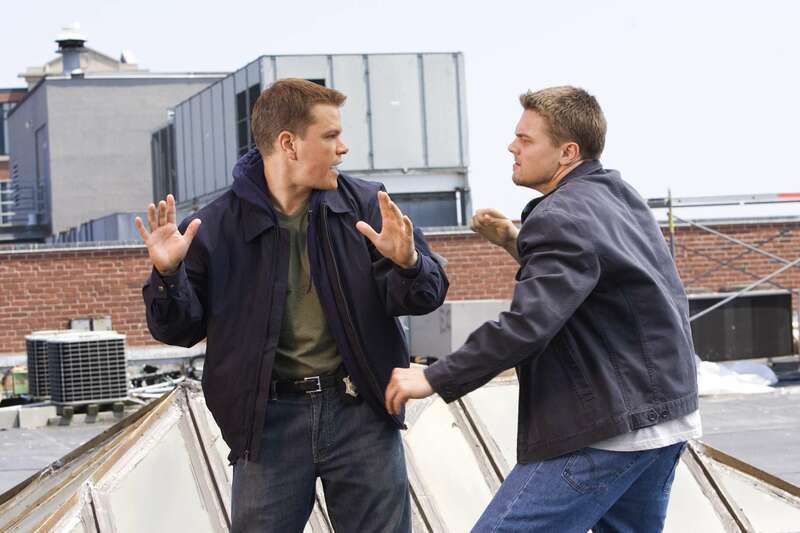 While films like The Departed (above) might depict a slightly seedier side to Boston, the city isn't all like that (though the accents are quite similar). Where can you study in Boston? Boston is home to many prestigious universities, namely Harvard University which covers its 12 different schools from which many great world leaders have graduated, including Barack Obama, Bill Gates and John F. Kennedy. There’s also Northeastern University and the competitive Art Institute of Boston that has an undergraduate enrolment level of under 700 students. Boston also hosts the country’s oldest music school, the New England Conservatory and one of the largest private universities, Boston University. Emerson College is a great place to study for liberal arts students, as it offers over 36 different degree programs in the Arts and Communication department. Those looking for a more “small town feel” can find one at Fisher College that enrols just over 1,000 students and offers associates and bachelor’s degrees. The list goes on and on. Meanwhile in nearby Cambridge, you can attend Massachusetts Institute of Technology (MIT). Start searching for a course in Boston, or simply, America now!